Indian playback singer who is best known for her work in Bollywood films like such as Ek Tha Tiger (2012), Aashiqui 2 (2013), Kick (2014), Prem Ratan Dhan Payo (2015) M.S. Dhoni: The Untold Story (2016) and Kaabil (2017). Palak Muchhal has been honored by both Guinness Book of World Records and Limca Book of World Records as well as Government of Indian for her charity work. 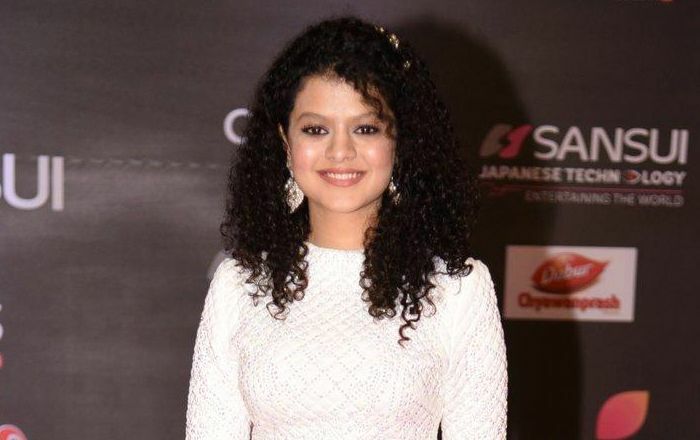 She and her brother Palash Muchhal use to perform stage shows across India and abroad to raise funds for the needful who are in required of medical treatment of heart diseases. Palak Muchhal was born on the 30th of March 1992, in Indore, Madhya Pradesh, India. She’s currently 27 years old. Palak Muchhal attended Shree Agrasen Vidyalaya, Sneh Nagar, Indore. In 2014, she graduated with a B.Com degree from a college in Indore. Palak prefers to be silent about her personal life and thus there is not much information available of any relations he has had in the past or in the present. In 2010, Palak starred in a minor role in the action drama movie, Khelein Hum Jee Jaan Sey, alongside Abhishek Bachchan and Deepika Padukone in the lead roles. As a singer, she has rendered her voice for several tracks in Bollywood films including Aashiqui 2, Ek Tha Tiger, Action Jackson, Kick, Prem Ratan Dhan Payo, and M.S. Dhoni: The Untold Story. She has participated in several singing reality shows as a participant as well as a judge. Being a playback singer in Bollywood and for her extensive social work. Palak Muchhal began her musical journey at the age of 4 and has been trained in Indian classical music. Muchhal wanted to be a Bollywood Playback Singer since childhood. She released six non-filmi albums during her childhood and teenage days. She has lent her voice in different Indian regional languages. She can sing in around 17 different languages, including Sanskrit, Hindi, Oriya, Gujarati, Rajasthani, Assamese, Bhojpuri, Bengali, Marathi, Punjabi, Telugu, Kannada, Sindhi, Tamil, and Malayalam. She was a member of Kalyanji-Anandji Little Star, a group of young singers, at age four. She has been involved in charity work since she was a child. She was only seven at the time of Kargil War when she spent a week singing at shops in her home city, Indore, to raise funds for the families of deceased Indian soldiers. After that, she got actively involved in social work and used to perform stage shows in a bid to raise funds for various social causes and charities. Her inclination towards social cause and charity work was triggered when she saw poor children using their clothes to clean train compartments. In 2001, she managed to raise more than 1 million rupees for the benefit of Gujarat earthquake victims. She founded a non-profit organization called Palak Muchhal Heart Foundation. Her organization has managed to save the lives of hundreds of children through heart surgeries. Doctors allow Muchhal to be present in the operating theatre. She has her own surgical gown in the hospital. Muchhal does not receive any financial benefits from the charity shows.